This is the new era of machine and mechanics and everything is fast in this time. Automobile industry is the fastest growing this is what records say about it. Auto major’s plan daily something new for consumers and after lot of team efforts the conclusion comes to public. The latest joy for the consumers has been planned by Tata Motors. The news in the air for Tata motors is that now any customer can swipe his or her credit card and turn the face towards the new journey of India the all new Tata Nano – One’s key to happiness. 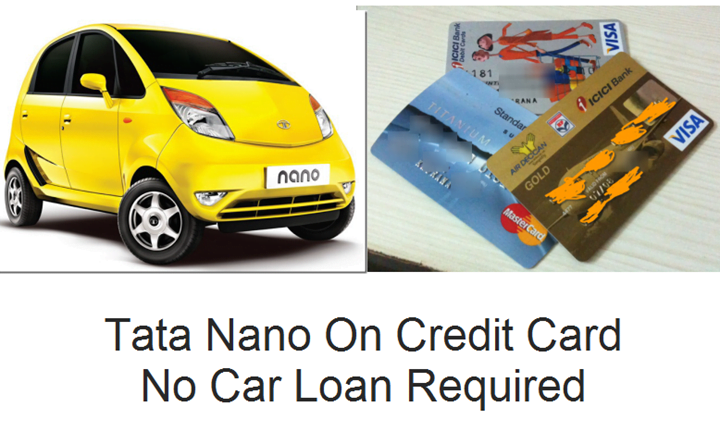 Now you can buy Tata Nano on credit card EMI without going though any car loan processing. The happiness key can be found very easily as just by converting the entire amount into monthly paybacks for zero percent interest rate and that to be just 8,333 thousand on one Lakh. Predictably this is the foremost offer made by Tata Motors. This is going to become the fastest, hassle free, economic and choosey purchasing style for consumers. Hats off to Tata motors for this unique step. Taking up such kind of step by Tata motors will be a new invention to follow by other auto majors in the industry. Tata motors have joined hands with Axis Bank, HSBC Bank, ICICI Bank, Kotak Mahindra Bank and Standard Chartered Bank. People keeping credit cards of these banks will be able to purchase the scheme in twenty six cities across seventy five Tata Motors Dealerships. According to Mr. Ranjit Yadav President of Passenger Vehicles Business Unit, Tata Motors “We are proud to offer this industry first phenomenon to our customers. This offer will enable customers to own a car in the fastest and hassle free manner. With the introduction of this offer, consumers get the benefit of converting the entire amount on the credit card into interest free installment, spread over a period of 12 months and manage monthly cash flow better. We would like to thank all our partner banks who have supported this special offer, exclusively for the Tata Nano. Customer centered cars will come back with the new purchasing styles in which one has been announced”.